The HOOP SCOOP tells the story in an intriguing fashion! Nobody covers grassroots high school basketball like The HOOP SCOOP! If you don't subscribe, you're missing the boat! CLICK HERE to get more info and subscribe. And if you don't believe me, just ask any of the numerous Division I college coaches, fans, and media alike who have been subscribing to the HOOP SCOOP for decades now. Many still tell me that what we do is second to none. Our Hot Recruiting Information section has been updated with all the latest recruiting information on a regular basis continuously since 1998, which once again puts us way ahead of our competition. 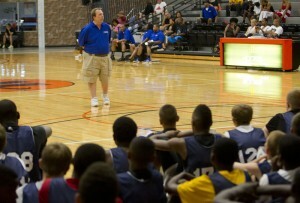 This section details the latest camps and events covered by The HOOP SCOOP across the country throughout the year. And because of our extensive history, it means that if you want to go back through our archives and read about how Kevin Durant played as a high school sophomore, you can do it! For a sneak peek at what you can expect to read in the Hot Recruiting Information section, click here. Our player rankings range from 5th Year Players all the way down to 6th, 7th, & 8th Graders. It's a joke how far ahead we are of the competition. Over the years, we have ranked thousands of players throughout their youth careers, tracking their development and recruiting every step of the way. Our rankings prominently featured great high school players and college and NBA stars such as Ben Wilson, Kevin Durant, Allan Houston, Bobby Hurley, Jamal Mashburn, Austin Rivers, Shaquille O'Neal, Tim Thomas, Jared Sullinger, Brandon Knight, Kevin Love, Stephon Marbury, OJ Mayo, Kobe Bryant, Kevin Garnett, Felipe Lopez, Alan Henderson, Michael Kidd-Gilchrist, Grant Hill, Brandon Jennings, Glenn Robinson, Shawn Kemp, Wayne Ellington, Kyle Anderson, Lance Stephenson, and Jabari Parker before most people even knew who they were! For more information on our player rankings and to see a preview of past rankings headlined by many names you'll recognize, click here. HOOP SCOOP Editor & Publisher Clark Francis is a McDonald's All-American voter and has been to every NCAA Final Four since 1973. He has only missed two of the superstar oriented shoe company camps (i.e. NIKE, adidas, & Reebok) since 1983. It's our guess that there is not another person alive who can make such a claim. 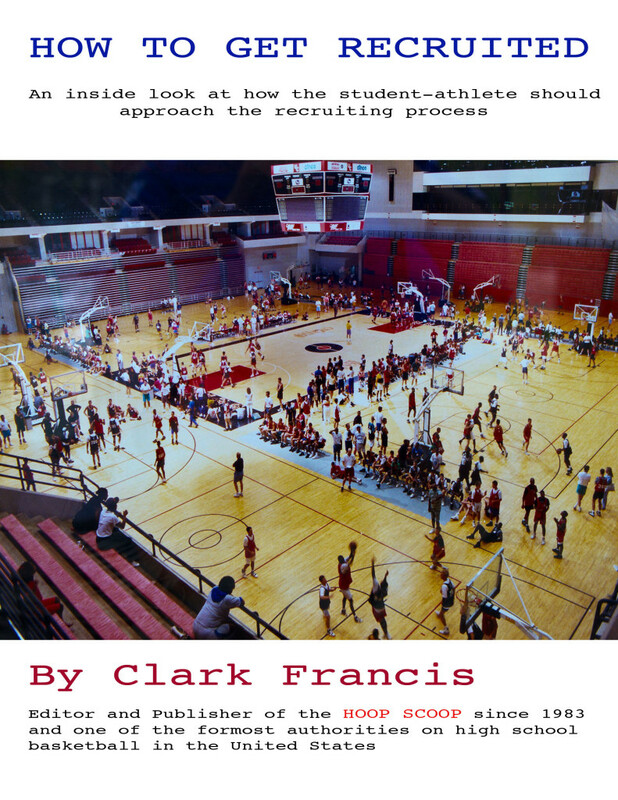 To read more about Clark Francis and The HOOP SCOOP, click here. Tracking the race to see who has the best recruiting class is one of the best things we do and, as a result, I'm surprised that our competition hasn't picked up on it yet. But, then, again, it's probably too much work for all of the amateurs out there. You can get a better idea of what to expect by taking a look at our 2012 Recruiting Class Rankings. Click here! To find out how you can get the best deal signing up for The HOOP SCOOP, CLICK HERE! !